This clean and airy studio is the perfect getaway for your Folly Beach vacation. Centrally located in town above the Lost Dog Cafe, this unit has many features: a galley kitchen if you have to cook, two comfortable window seats for daydreaming, dining and living area, full bath, stackable washer and dryer and large sleeping area with a king size bed. You will be surprised at how peaceful and quiet it is... Come to Folly and get lost at the Dog! Well-behaved pet welcome with small fee. The official check in is at 4:00 pm at which time the Lost Dog Cafe is closed. There is parking available in the Lost Dog lot and the adjacent lot. Also, you can find spots on East Indian and come in from the back. It is important to remember to always park with all four tires off the pavement and facing in the right direction. The City of Folly Beach is very active in handing out parking tickets across the entire island. Clean, quiet and a perfect get away! Love this place! Also the best breakfast in town! We loved the loft at Lost Dog. It had all the space we needed, super clean, and well stocked. Our dog loved it, too. The only thing we didn't have was a blanket and coffee filters. We will definitely book again. Great location and very clean. Alot larger than we thought and would rent this apartment again. We stayed above our favorite family restaurant - Lost Dog Cafe! Convenient to everything. Super comfy loft apartment. Excellent breakfast place right down stairs! We were very impressed with the studio! Upon walking in, it seemed much larger in person than it did in the pictures. The bed and furniture were very comfortable. We were worried about one minor maintenance issue, but the homeowner came within 10 minutes and helped us realize that it wasn't an issue at all! We were able to cook (Carol keeps a few pantry staples - salt, pepper, etc - on hand) comfortably in the apartment. 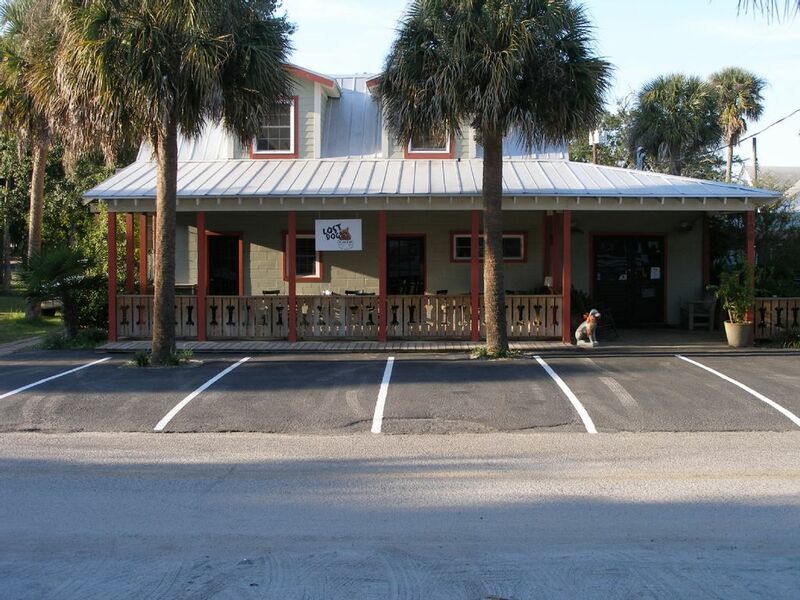 It's about a five-minute walk from the beach and is a great location, right on the main drag of Folly. I absolutely recommend staying here - a wonderful host and a great property. We felt very welcome and it was great for our dogs. You can smell the pluff mud and the salt air as you cross over the Folly River welcoming you to Folly Beach, South Carolina...Mayberry by the Sea...The EDGE of America...home of the Loft at Lost Dog, your new digs for the next few days! Folly Beach is one of the last remaining eclectic, laid back Atlantic Coast Beach towns, so just pack your swimsuit and your flops that's about all you are going to need...we have you covered with all the rest of your beach essentials. Unless of course you are planning on going into 'town'...charming Charleston is only 20 minutes away...so...you might need your seersucker and heels after all...Cheers! Availability does not equal confirmed. Do not assume that the dates you are inquiring about are reserved until you receive a confirmation email that I have reserved the dates and will send you out a booking confirmation packet. The Loft is not available by the month.